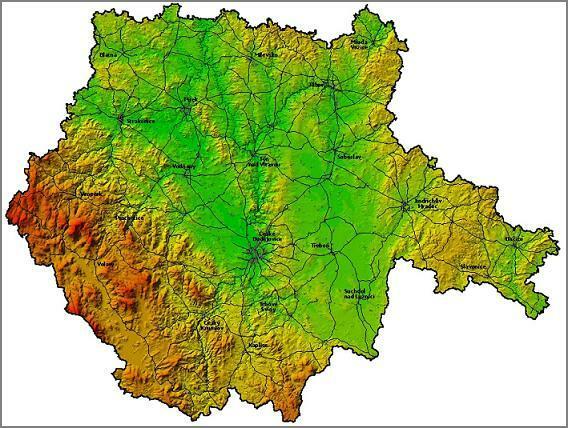 The use of the geographic information system (GIS) is an integral part of all assessments, studies and documentation that our company processes. For our customers, this fact means that the inputs are always immediately projected in the digital map of the territory and afterwards they are being handled. This approach allows to detect any problems or conflicts immediately. As result, we can identify the most of the possible problems at the stage of preparation work and in the assessment we focus directly on solving these problems. 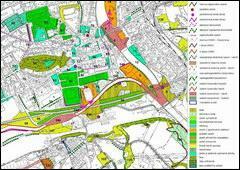 GIS allows to project the calculation results on any digital map or aerial photos of the area. Processing the results of studies in GIS speeds up and improves the following assessment. 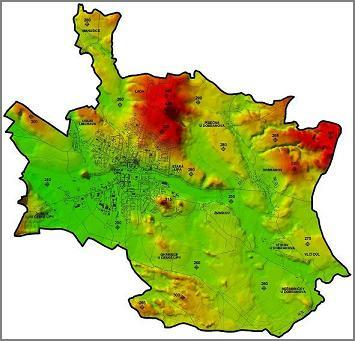 For example, the outputs of air pollution studies and demographic data are used to determine the number of affected population in the Health Impact Assessment, to solve conflicts between air or noise pollution and residential development etc. For municipalities and public administration we process output layers for public or internal map applications. We use the gained experience directly in providing services in geographic information system and for	simulations of alternative solutions. We use the ESRI products (ArcGIS)..
Geographical analyses - such as the landscape fragmentation landscape fragmentation, changes in the residential areas, the calculation of the agricultural land price according to its quality, etc. Evaluation of conflicts in the territory - for example a conflict between land use plan goals and the occurrence of natural areas, a conflict between roads and planned residential development, etc. Processing of graphical outputs - basic and thematic maps, design drawings, large format color printing, etc.